was a French service rifle of the 19th century. The Gras used by the French Army was an adaptation to metallic cartridge of the Chassepot breech-loading rifle by Colonel Basile Gras. 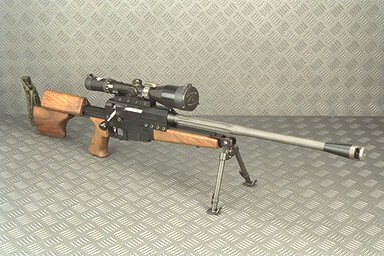 Ultima Ratio rifles are made by PGM Precision company in France. Some UR 'Intervention' and 'Commando' (shortened variants) of these rifles are known to be adopted by French Military as a replacement for FR F1 and FR F2.